Hopefully you’ve taken advantage of all the great strategy content that’s available here at Upswing. But in case you’ve missed something, or want to double back and reinforce what you’ve learned, we’ve compiled our top strategy articles. Whether you want to binge-read a dozen articles or call it a day after a single one, this list has the potential to be a valuable resource for improving your poker skills. Consider bookmarking or saving this page in case you want to reference it in the future. What Separates Good Poker Players From The Best? Find out what distinguishes the very best poker players from the rest of the pack. Upswing’s own Doug Polk shares some quick poker tips and tricks that will help you elevate your skills both live and online. An explanation bet sizing–a crucial concept to understand in modern-day games. Everything you need to know about using small bet sizes in No Limit Hold’em from game theory expert Matt Janda. 3 simple but effective tips for exploiting weak opponents who hate folding. Accumulating more chips is what poker is about. These 4 skills are paramount for doing that. An Upswing Poker high stakes analyst outlines a fundamental strategy that the pros use to maximize profit. This 4-step plan won’t teach you how to win at poker every time (that’s not possible). What it will do is teach you how to put more money in your wallet with an easy-to-follow plan. Deciding to become a professional poker player is a big decision. This article outlines what you should think about before making that choice. Are you stuck in a rut, struggling to make a decent profit playing poker? Doug Polk once felt the same way. Matthew Janda’s Applications of No Limit Hold’em is endorsed by Team Upswing Pros, and recognized as one of the very best poker strategy books on the market. Ryan Fee shares the 4 most important takeaways from Janda’s game-changing publication. Ben Ward outlines how you can improve your results by embracing a warm up routine. A few big name pros cut in at the end to share their own personal poker session warm up routine. Avoid these 12 pre-flop mistakes and your results will almost certainly skyrocket. Find out when it is optimal to 4-bet pre-flop with these 5 tips for 4-betting. Aggressive pre-flop play can reap huge rewards in No Limit Hold’em. Here’s why and how you should add it to your game. Stop leaking chips from the small blind with these 6 effective pre-flop tips. Ryan Fee explains why 3-betting is so powerful in No Limit Hold’em, and how you should adjust your tactics when facing one. A game theory expert breaks down 5 river situations that are tough, but necessary to understand. This article contains some particularly useful online poker tips, but the advice applies to live poker as well. How to proceed when facing triple barrel post-flop bets from an opponent. Learn a key element of post-flop success from three-time WSOP bracelet winner Doug Polk. Embracing the ins-and-outs of delayed continuation betting will put more money directly in your pocket. Should You Ever Donk-Bet on The Flop in No Limit Hold’em? Learn the best time to lead out with a bet on the flop after defending a pre-flop raise. Sometimes you must defend your blind with a relatively weak holding. This guide provides suggestions on how to minimize losses in those situations. Check-raising is an important element of poker, but you must learn how to best implement this strategy if you want to reap its rewards. Discover the best situations for continuation betting while in and out of position. A lot of money is won and lost on the river. This article discusses how to make the most out of your opportunities on the river while minimizing losses. QUIZ – How Much Do You Actually Know About Tournament Poker Strategy? Learn about the nuances of tournament poker with this interactive 10 question quiz. Are you busting out of Multi-Table Tournaments earlier than you’d like? These tips will help you make more deep runs. Avoid getting crushed by loose tournament players in the big blind with this range and sizing strategy for open-raising. Miikka Anttonen discusses 5 tournament poker tall-tales that you shouldn’t believe. Miikka Anttonen shows aspiring players how minimize losses from the big blind. This is part 1 of a 4 part series covering short stack play from the blinds. In part 2 of Miikka’s short stack blind play series, he explains how to get more playability (and more expectation) from your super-short chip stack. A big part of tournament poker is extracting chips from your weakest opponents. This guide shows you how to dominate your opponents pre-flop. A how-to guide for getting the most out of your post-flop skills by exploiting weak opponents once the community cards hit the board. Avoid these 4 mistakes and keep your tournament poker career alive. Use a short tournament stack to your advantage with these tips. Downswings in poker tournaments are inevitable. Here’s how to deal with tough times as an MTT player. Take your poker skills to the tables and dominate the action with these tips and tricks. Maximize your earning potential with these 5 skills. Here are 8 tips that will make you a bigger winner playing live. A simple explanation of the optimal way to think about poker strategy. Thomas Pinnock shows us how to break down and analyze poker hands. This article details why making some decisions at random is actually an advanced and necessary tactic (when done correctly). Extract maximum value from multi-way pots with this guide. Ryan Fee tells Upswing readers how to get the most out of every situation. 20 free tricks for playing flush draws in No Limit Hold’em. This online poker strategy guide is a truly great resource! Learn these 10 closely guarded secrets from PLO expert Fernando Habegger. Make use of this foundational, multi-media guide that shows when and how to categorize poker hands profitably. This No Limit Hold’em training course is what our world-class team of coaches would teach their younger selves, if they could send information back in time. Updated monthly with a new strategy module, and once a week with a new Play & Explain video. Pot Limit Omaha guru Fernando Habegger shares his secrets with aspiring pros. 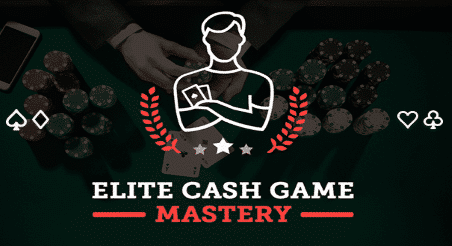 This course includes the 6-hour PLO Bootcamp, weekly videos, and regular strategy module updates. Longtime high stakes poker tournament player and $6 million cash prize winner Pratyush Buddiga shares his knowledge on how to maximize your expectations in poker tournaments, both live and online. Join Doug Polk as he shows you step-by-step how he mastered HUNL play. The advanced poker tips and strategies in this course will help much more than your heads-up game because understanding wide range situations apply to all forms of poker. Relive the very best Doug Polk moments during his meteoric rise in 2017. An outline of the high profile “edge sorting” case involving legendary poker pro Phil Ivey. The poker world could be in for significant changes in 2018 if these 5 ambitious predictions become reality. Doyle Brunson has serious social media skills. Get the most out of your poker community experience by checking out these 5 high quality poker vlogs. The “Poker Brat” Phil Hellmuth uses his patented White Magic skills to overcome the competition in the inaugural Poker Night in America King of The Hill contest. Doug Polk realizes a poker dream by taking down the WSOP High Roller for One Drop and capturing his third World Series of Poker bracelet. Move over Twitch: Doug also holds the YouTube Poker Live Streaming record after winning a high roller event on Party Poker. 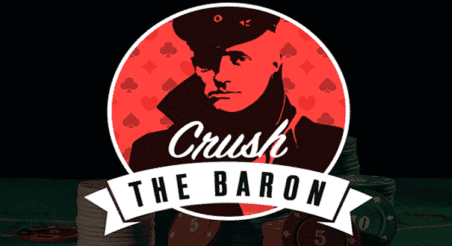 The world’s best heads-up No Limit Hold’em players battle against poker bot “Libratus”–and they get crushed. Learn the truth behind Dan Bilzerian’s poker bankroll in this viral Doug Polk video. Learn more about marquee poker vlogger Andrew Neeme in this “favorable” interview. Poker tournament high roller Fedor Holz joins Doug for an in-depth discussion. The topic include competitive poker, current events and how he has achieved so much at such a young age. Card playing savant Daniel ‘Jungleman’ Cates talks with Doug about the current poker environment, for-profit opportunities, avoiding the world’s largest poker site, and the future of online poker. All-time leading WSOP bracelet winner Phil Hellmuth reveals all in this must-watch podcast with Doug Polk. We release new poker strategy articles twice per week here on Upswing. Sign up for our email list here to receive articles in your inbox whenever they go live (you’ll get some pre-flop charts as a bonus). Alternatively, you can check for updates on our main blog page at www.UpswingPoker.com/blog.